Therefore, a new jungle camp of 17 days starts on November 18 and will be followed by an optional loop to Macchu Picchu. This once-in-a-lifetime trip into the heart of the most pristine place on Earth offers participants a holistic approach, addressing the body, mind, soul and spirit. The program includes emotional release, energy work, meditation and spiritual practices, thus facilitating a deeper connection with all that is. This process aims to the essential self, the pure sense of presence, the sense of I AM, the integration of mind, body and spirit, connected to our essential nature. 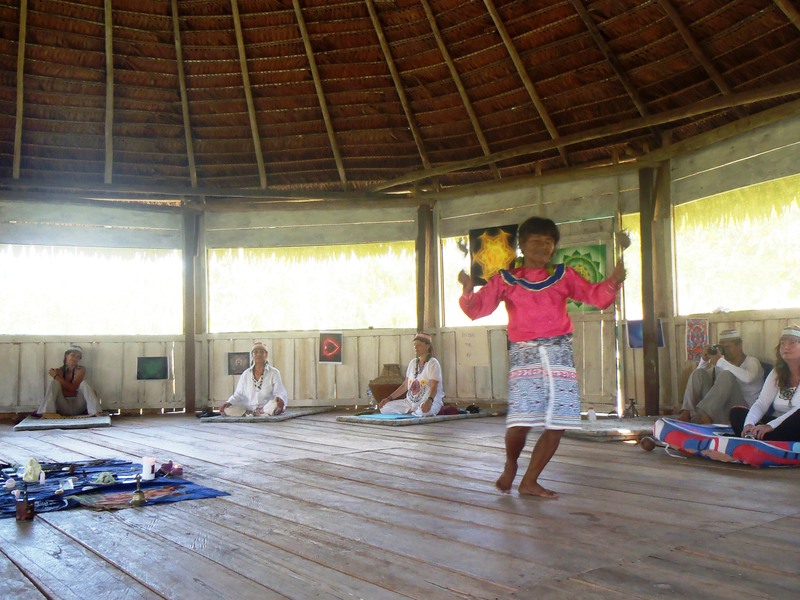 enabled by local shamanic remedies and Ayahuasca ceremonies. Our senses and feeling are ways to connect into the Christ consciousness that has been demonstrated for thousands of years by prophets and saintly men and women. Thus, self is becoming integrated with whole,the oneness, the ever present moment of infinity. Focus and attention of the I AM Presence places one back in the wisdom of oneness, the end of separation and ultimate joy. them, becoming leaders of the new wave of awakened humans. The 17 days of consciousness raising will take place in a pristine area, where the frequencies of the Western world do not interfere with the process: there is no electromagnetic pollution, no electricity and the village is located upstream, next to the clear waters of a tributary of the Amazon, called Manati. – body: detox with a shamanic diet and indigenous plant medicine. Swimming, guided jungle shamanic quests led by plant masters and shamans, pink dolphin watching during our river trips, Tai Chi will contribute to the physical attunement, together with specific healing effects of Ayahuasca. Emotional cleansing sessions through therapeutic and shamanic practices completes the body approach. – mind: mental and verbal reprogramming, meditation, group debriefing and debates. Releasing the hypnotic, cultural and religious patterns. Expanding the intuition and reconnecting the mind to the intuitive mind. – soul: subconscious and superconscious connections via breathing techniques, ayahuasca initiation ceremonies and connection with oneness, initiation into the Five Attributes of Mastery: centering, harmony, potential, vision and inspiration. All these elements build on a foundation of Love with the end result being the Joy that you are. A typical day in the jungle starts at sunrise, with body-energy practice, shamanic medicinal plant remedies and a bath in the river. It continues with either initiations into the Five Attributes, group work, jungle walks, private sessions or other activities. It then flows into a meditation or one of the five scheduled Ayahuasca ceremonies. We will benefit from the support of the experienced therapists facilitating the entire trip and the contribution of four local shamans, specialized in purification, protection, plant treatment and Ayahuasca ceremonies. The entire group will get an orientation session before departure and another one on site. Accommodation in Lima can be arranged and paid on location, if you wish to spend the evening there. November 16: Arrive in Iquitos. The group will spend the night in the hotel. November 17: breakfast and orientation session. This buffer day is useful both for acclimating and for preparing for the big leap ahead. We also had some mishaps with people losing connections, therefore this buffer day offers everyone the possibility to leave for the jungle early in the next morning. Thing to see in Iquitos: the Belen market, the artisans’ market, the historical downtown (tiny). Please use the contact form at the bottom of this page to facilitate the reservation. November 18: Breakfast and departure by boat to Nuevo San Jose, the village where we will be hosted for 17 days. 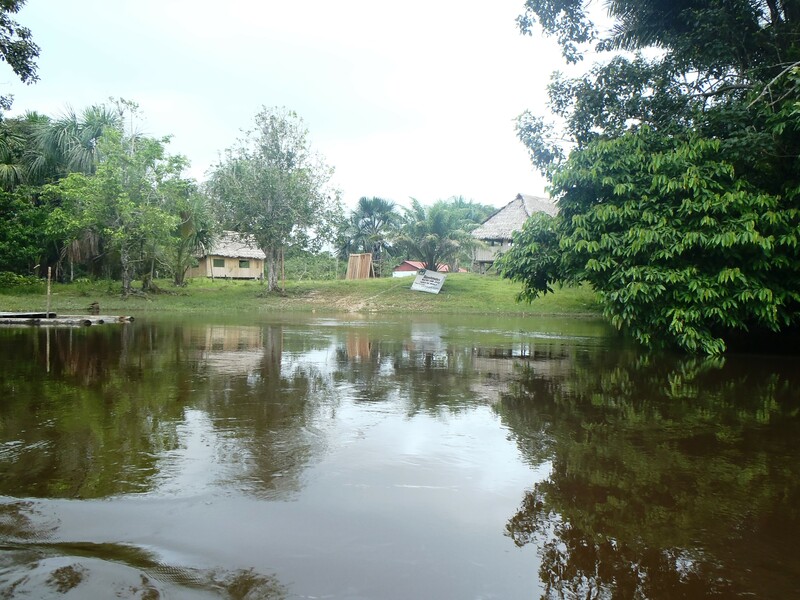 The village is situated on the Manati tributary of the Amazon, in a remote location, far from civilization. 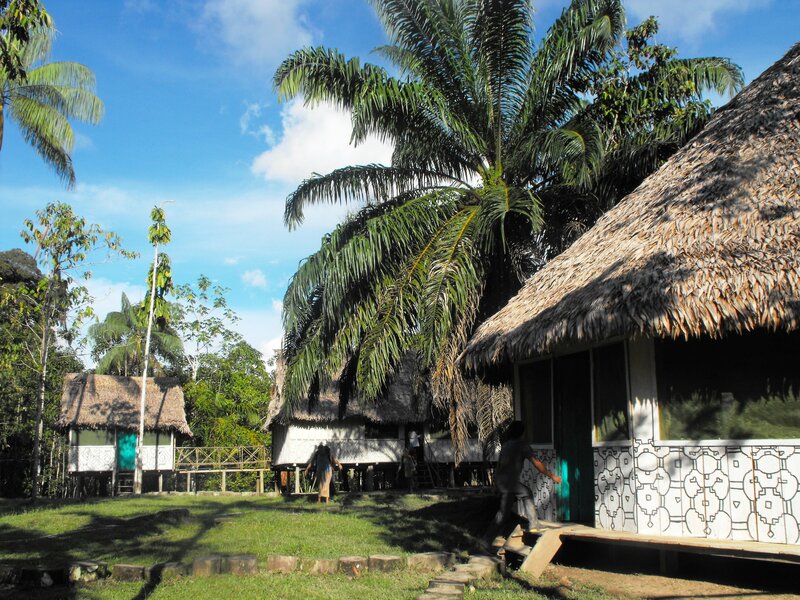 We will be accommodated in typical Shipibo bungalows and get immersed into the local lifestyle. November 19-December 4 : Jungle schedule. Connecting with the nature, self work, plant therapy, Ayahuasca ceremonies, meditation and specific group activities (see details above). 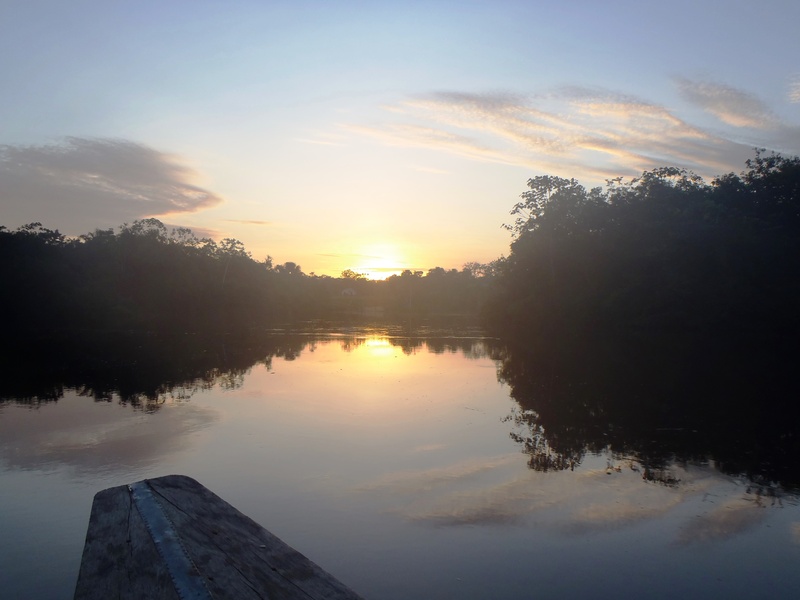 December 5: return to Iquitos by boat and evening in town. We will be arriving around 2 pm the earliest, so allow a few hours between the arrival and your flight. Recommended: no earlier than 6 pm, December 3, for the participants that are not attending the optional Macchu Picchu Solstice loop. For the ones continuing the journey or departing the next day, evening in Iquitos and accommodation in the hotel. December 6: Flights either back home, for the ones who want to return, or connection to Lima and Cuzco, for the Sacred Valley and Macchu Picchu loop. 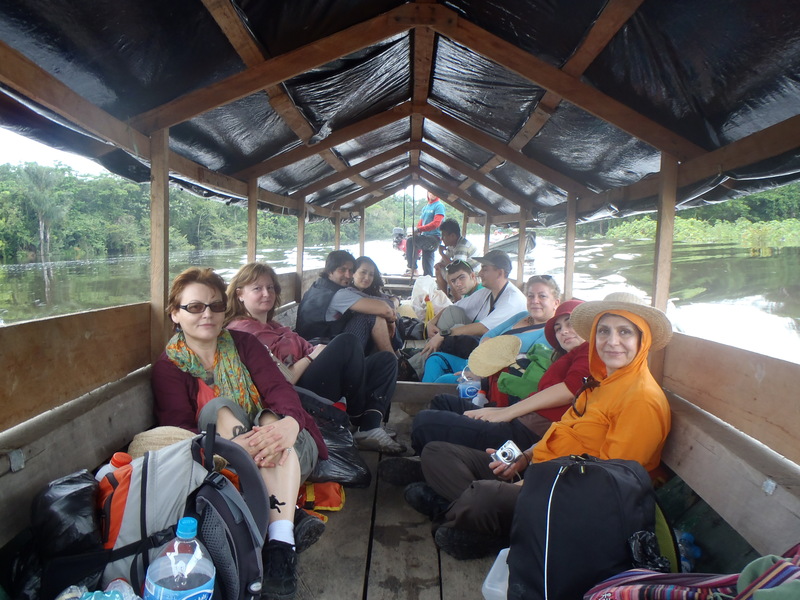 The camp itself finishes with the arrival in Iquitos – this leg of the program is optional. Base price for the jungle package from Iquitos, including transport to jungle location, full board and all ceremonies and practices: 2450 USD. The hotel price in Iquitos, not included in the base price, is 50 USD for two nights (one on arrival, on on return). Airfare from home city to Iquitos is not included. The Macchu Picchu loop baseline cost is around 600 USD, containing the transfers, hotel (3 nights in Cuzco, 1 night in Aguas Calientes), train tickets to Macchu Picchu, bus tickets to the top and entrance to Macchu Picchu : the Lima-Cuzco return flight and the guiding fee are not included. The same goes for tickets to historical places. An exact quote will be sent to all participants that wish to take this tour. – the remaining amount shall be paid on site. The group activities shall be supplied in English; the group is international. 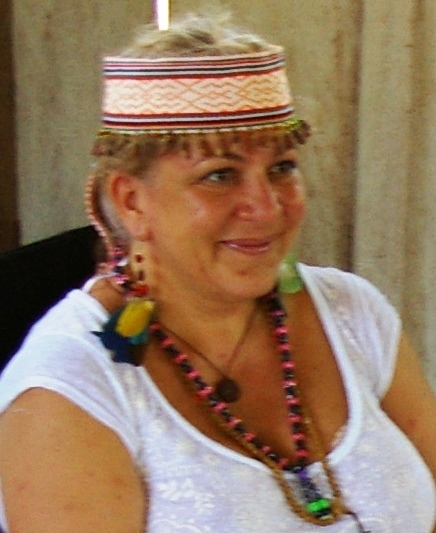 Andreea is a clairsentient holistic healer and coach. She combines her complementary skills, techniques and expertise in a number of different processes, from rebirthing to energy healing, from metaphysical psychology and science of mind to linguistic deprogramming, to allow people to enter an expanded awareness of being, closer to their original nature. Her approach, based on a mix of the best of spiritual traditions and personal development techniques, adapts to the stages each group goes through and allows her to perform initiations in different ways, shifting those modes as the consciousness of the group rises. Group sessions and personal ones are performed to ensure all participants are keeping up with the pace of expansion. Andreea holds a facilitator’s black belt. She is also a trainer and consultant, with an experience of over 20 years in developing people, out which the last 10 dedicated to complementary therapies and coaching. She is also initiated and teaches several spiritual and energetic systems, such as Shinki, Reiki, Seikhim, Huna, Angelic healing and Archangelic Reiki, Johrei. Contact phone numbers: +40 722 402068 A discussion group on Facebook is available at https://www.facebook.com/groups/1423417071242896/ on a membership basis.